Every weekend we dig into the archives. This post by Patrick was originally published in December 2014. 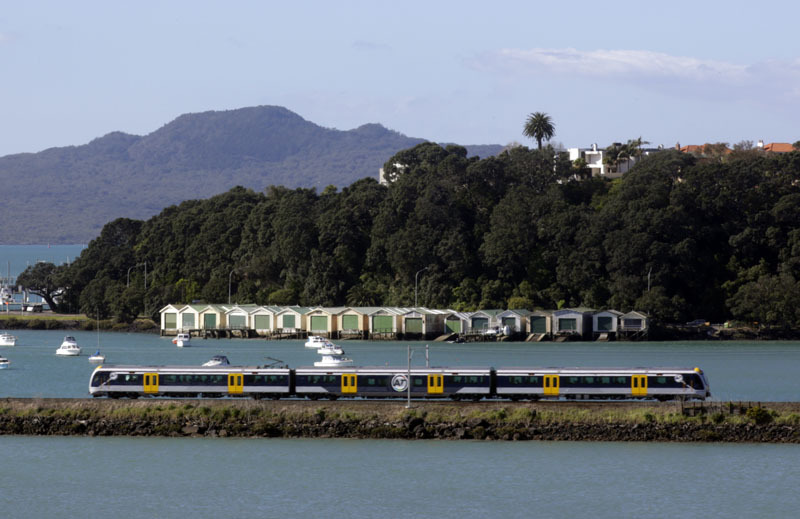 Last month I was asked to write an article for Metro Magazine on transport in Auckland, it ran in the December issue and now can be seen on Metro’s site here. Because transport is of course, quite literally, just a means to an end it is really about Auckland itself. About how it’s changing, and how it has already changed a lot this century. There’s an unseen revolution taking place in Auckland right now. In transport. Auckland is at last a city. No longer just an overblown provincial town, it has become properly city-shaped in the nature of its problems and its possibilities. For some this is an unwanted prospect and for others a much longed-for one, but either way it’s happening as it usually does: automatically and unevenly, and in our case quite fast. Auckland the teenager now finds itself becoming an adult. When did we cross this line? We may decide the moment coincided with the reorganisation of local government, the formation of the so-called Super City in 2010. Or not. It doesn’t really matter, the point is that our combination of size and intensity means Auckland is now subject to the logic of cities the world over: crazy prices for tiny spaces, gridlock on the streets at almost anytime, hardship right next to luxury. While an insane range of complicated and hitherto unimagined ways to brew coffee is not the sole point of city life, it may be a good proxy for its vitality. The cafe trade thrives on diversity, specialisation and excellence, all driven by competition, and those things are also observable through a much wider range of human endeavour. Whether it’s in the law, education, services, the arts, whatever: only the agglomeration of individuals in tight proximity to the economic and social force that is a city can generate such opportunities. And, of course, there is urban velocity. Everything, for better or worse, is subject to the city’s law of impatience. It has always been thus: just as density creates obstacles to movement, so the demand for movement increases. Perhaps this is the greatest of all the contradictions of a city: more is more but also less. This is also the source of much opposition to the very idea of the city. Nowhere do these contradictions gather more intensely than around the hotly disputed issue of congestion on the roads. Traffic. For the last 60 years we have consistently taken one approach to the problem of how to allow people to move around in the growing city: we’ve built a lot of roads. We’ve got really good at it, and we’re still at it, with whole sections of the economy worryingly addicted to it. But building ever more roads in cities doesn’t work. Far from curing the patient, this medicine is strangling it. In this, here in Auckland we are different from the rest of the country: in our scale, density, and pace of growth we have passed a tipping point. Bigger roads don’t cure our congestion, they enable it. All evidence supports the view that the most effective way to both improve connectivity and de-clog our streets is to invest away from them. This may seem counter-intuitive but it’s true. The data around this is compelling and full of possibility. And if you are interested in how cities work, in improving our economic performance, or simply if you love this place, it’s also exciting. There’s a revolution going on right now in Auckland. It’s largely unseen, and even many of the people directly involved in it don’t see it as that. But it is real and it affects us all. 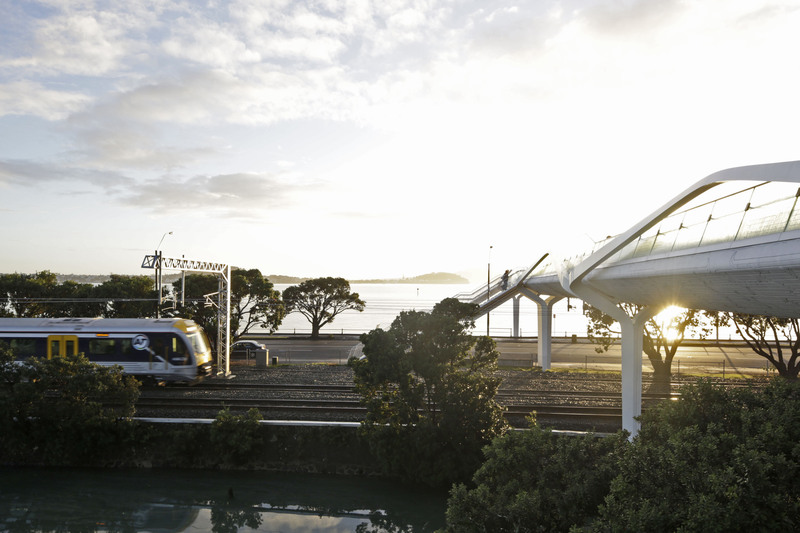 Over the last year two million more trips were taken on Auckland’s rail network compared to the previous year. That’s 12 million over 10 million: a big jump and profoundly good news. Good news for the experts who examined our public transport system and said, frankly, it’s crap, but if you give people attractive and frequent services they’ll choose to use them. Good news for the public who have long pleaded for better services. Good news also for the tax and ratepayers of Auckland who have funded the upgrades, as well as for the politicians, local and central, who backed them. Most of all, it is good for drivers. Good for everyone who likes or needs to drive on Auckland’s roads. And while Aucklanders are rushing to ride the trains, we are also piling onto buses at new rates too. Overwhelmingly, all these new trips on public transport (PT) are happening instead of car journeys. It isn’t just new Aucklanders who are taking part in this rush to PT. 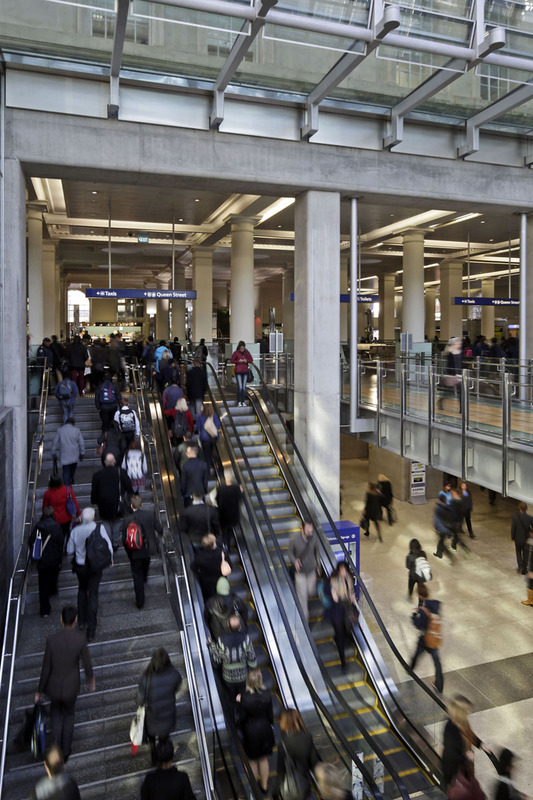 The city’s population is growing at 2.3 per cent per year, while over the last year PT use was up 8 per cent: that’s more than three times the rate of population growth. Growth in rail use jumped 18 per cent. In contrast, according to figures from the New Zealand Transport Agency (NZTA), driving in Auckland is flat on a per capita basis, and still below the 2006 peak. So even if you don’t use the new services yourself, those people who do are out of their cars and out of your way. It may not feel like the streets are any clearer, but if all those travellers were still driving your trip would be much, much worse. The biggest winners of Auckland’s new-found and hard-fought Transit renaissance, therefore, are the users of cars and trucks. Despite this, the public response to transport funding announcements is peculiar. After 60 years of investing in driving, each announcement of more spending on the roads is met with a shrug. We are currently spending billions (with billions more planned), even though the roads programme has not led to greater satisfaction or better access. Yet every time we improve our public transport systems, the response – on two fronts – is huge. Improvements to the rapid transit network in particular (that’s rail and the Northern Busway) have led to great uptakes in patronage. But at the same time, the spending this involves has been hotly contested. No one is suggesting that driving won’t remain the dominant means to get around Auckland. But it is clear the highest value to be gained now in Auckland with transport dollars is through investing in the complementary modes: trains and buses, ferries, and safe routes for cycling and walking. They’re the ones attracting greater use. To fix gridlock on the roads, we need to stop spending on roads and put that money into the alternatives. Nowhere is this more true than on the rail network and our only properly “rapid” bus route, the North Shore’s Northern Busway. The electric upgrade of the rail network that was begun under the previous government and continued under the current one is being met with open-armed enthusiasm: last month, the two lines that are now running the new trains added 32 per cent and 50 per cent more passengers. And the upgrade is still far from complete. The popularity of rail when a languishing service is electrified and modernised is known internationally as the “sparks effect”. There’s no mystery to it. Here, as in cities all over the world, they have started to offer fast, frequent, reliable and comfortable services, running late into the night and on weekends. And people are flocking to use them. This is true rapid transit, and the key to its success is that the service must run on its own right of way. That allows it to be faster, more frequent and more reliable. Trains are the best example and that’s one of the reasons rail is so desirable, but buses can also be given this advantage – as has happened on the Northern Busway. The busway is a train-like service with stations, not stops, high “turn-up-and-go” frequencies and direct unencumbered routes. It attracts riders well above the rate of other bus services, simply because it is better, and consistently so. Promisingly, we are not yet delivering services to true rapid transit standards. As the rail service introduces the new trains to all its commuter lines, we can expect higher frequencies and longer operating hours. And as the city end of the busway gains more dedicated lanes and proper stations, its services will also improve markedly. Currently, only 41 per cent of its route is separated from other traffic. All of this makes it baffling that when the government recently announced special accelerated funding (not from fuel taxes) for NZTA’s plans to widen the northern motorway, it slashed the extension of the busway north of its existing limit. Similarly, the proposed North Western Busway has been excluded from the plans for all the work currently being done on the north western motorway. This is especially concerning as the buses on the busway run at full cost recovery, or very close to it: fares pay for all, or nearly all, their operation. Not only that, buses on the busway are twice as efficient as buses in the rest of the city. For the same cost a busway bus covers twice the distance of other buses and carries more people. And because they are not stuck in traffic we are not paying for them to pump out diesel fumes pointlessly as they battle through clogged streets. A similar logic is at play on the rail network. The new trains glide silently along on our own clean, largely renewably generated electricity, and those electrons cost less than half the price of the dirty old carcinogenic and imported diesel. The new electric trains can carry more than twice the capacity of the existing trains, and as we’ve seen already, they attract many more fare-paying customers. Those two million new passengers, each paying anything from $1.60 to over $10 a ride, are adding around $5 million for services we were running anyway. Just one more reason the new trains are as pretty to a cost accountant as they are to anyone concerned about the planet. For the price of building rapid transit systems we get material improvement to both fare income and cost of operation, as well as relief for road users and “place quality” improvement. It’s worth noting, also, that only a very small part of the whole current system even aspires to rapid transit status. There is no rapid transit in the North West, the South East or around Mangere and the airport. But the potential exists. While the city works its way round to embracing that potential, there is much else that can be done. Many other bus priority measures can deliver service upgrades and significant operating savings. Auckland Transport could decide, for example, to reduce the amount of street parking on arterial bus routes. This would enable the creation of fully joined-up bus lanes on major bus routes like Mt Eden Rd and Manukau Rd, and could easily be done for at least the peak and shoulder hours. The major cost here lies in having to endure the complaints of relatively small numbers people used to parking on these public roads, and of car drivers who fail to grasp that the more fully laden the buses are, the easier their drive will be. As international evidence shows, the higher the priority given to other modes (including cycling and walking), the better the traffic will flow. This happens because as the other modes improve more people choose them out of rational self-interest, leaving their cars at home more often. Auckland Transport needs to patiently but forcefully explain to drivers that bus and bike lanes are their best friends, emptying their lane of other vehicles, saving them in rates and taxes, and increasing the productivity of the whole city. It is not clear the culture at AT is ready for such sophistication. Over the next year-and-a-half the two big lines, the Southern and the Western, will get their new trains and higher frequencies. More rail ridership growth is already baked into the pie – but even on the rail network there are looming problems. One issue is the boom in rail freight going on right now, especially into and out of Auckland and Tauranga. This is great news: it’s far better to be moving those heavy loads on trains and not on dangerous, less-fuel-efficient, road-damaging trucks. But it also means the rail lines at the core of the Auckland network are getting a great deal of new traffic carrying both passengers and freight. 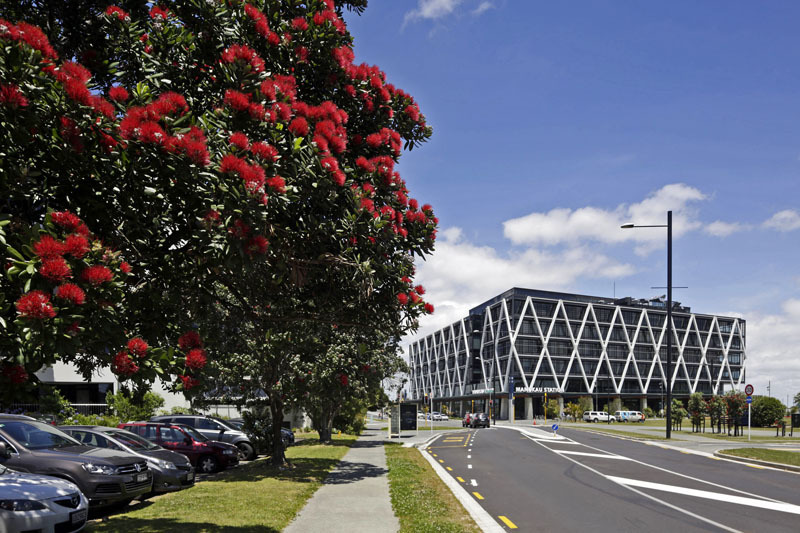 The long-planned third mainline on the main trunk route through the industrial areas of south Auckland is desperately needed to alleviate this pressure. It won’t be a huge expense – certainly, it will cost a great deal less than the $140 million to be showered on one intersection on the way to the airport next year – but because it’s rail it gets no love from the government. Which brings us to the City Rail Link. Without the CRL, all growth on the network has an absolute upper limit. We exceeded 10 million trips last year. Even if we don’t increase the current 18 per cent growth rate, that will double in four years. But that rate will increase, as the rest of the network experiences the benefits of electrification. Passenger trips are likely to top 20 million a year before the end of 2017. And there the growth will stall. The dead end at Britomart means it just won’t be possible to run more services. 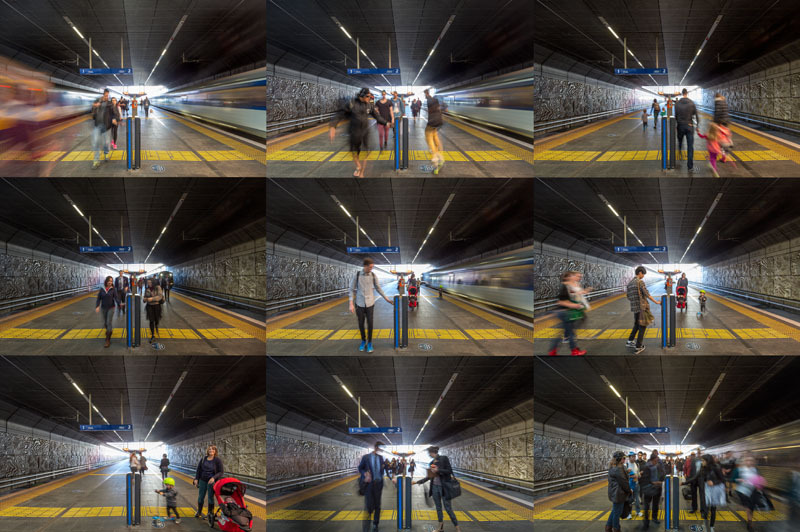 The CRL, however, will turn Britomart from an in-and-out station into a genuine metro-style through station. That will allow more than twice as many trains on the lines, which will mean more frequent, and therefore more patronised, services to and from the suburbs. The potential for this to transform not just our travel behaviour but much else in the city is enormous. And if the CRL doesn’t proceed? We’ll waste half the capacity of the existing rail network. Auckland will be stuck with its inefficient over-reliance on car travel; we will lack the balance of a city with great options for its citizens; we will have less freedom of choice. It is hard not to be deeply critical of the way Auckland Council and Auckland Transport have communicated the value of this project. Even though surveys repeatedly show the public is way ahead of the government and its officials in understanding the need to invest in urban rail, the possibilities the project will unlock have not been well presented. It seems easier to discuss what it costs than what it’s worth. Perhaps that’s because the outcomes are so multifaceted and game-changing. Perhaps it’s also that those responsible for promoting the CRL struggle themselves to imagine how different the city will be once it’s here. 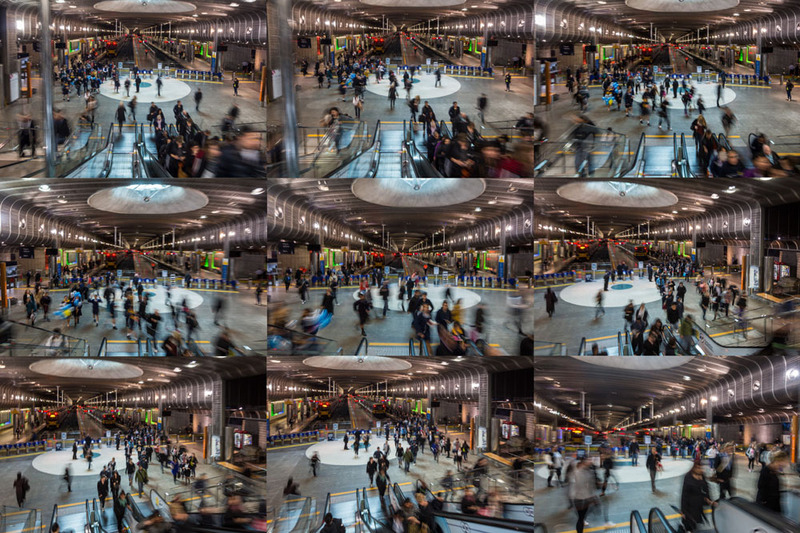 The new Aotea Station under midtown will be bigger than Britomart, and therefore the whole central CBD area, from the universities across to Sky City, will be transformed. But the CRL will have a bigger impact than that – and it will occur far from the route of the tunnels. One way to think of the CRL is to compare it to the motorway junction it will pass under. Imagine driving into town on a motorway, and having to stop short because there is no Spaghetti Junction to join everything up. That’s how it is for public transport users in Auckland now. The CRL is the key that will unlock the whole urban rail network, just as Spaghetti Junction has for motorway users. And despite being just two little tunnels seamlessly snaking their way beneath our streets, it will be more like the motorway network in capacity than you might expect. 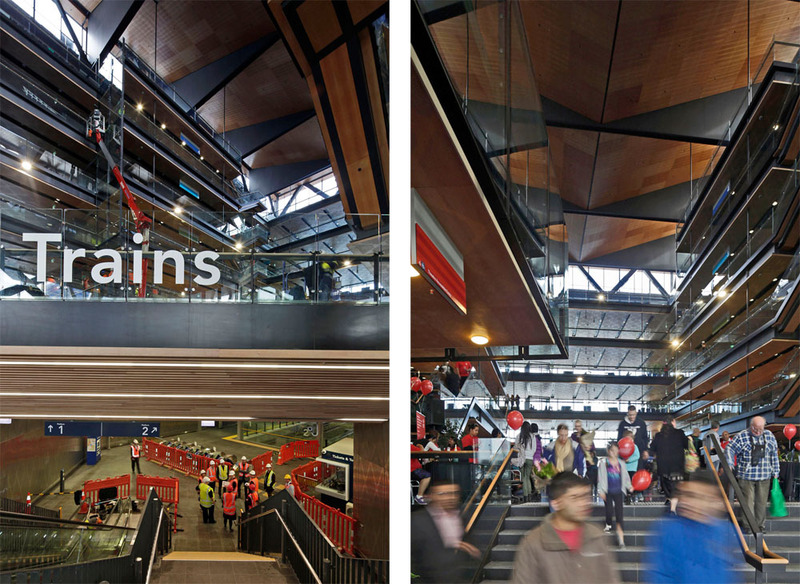 The CRL will enable up to 24 trains, each carrying up to 750 people, to run each way every hour. That’s like adding an eight-lane motorway into the city, without putting a single extra vehicle on the streets. This is the spatial efficiency of urban rail. It delivers an enormous economic force: people, without each one of them coming with a space-eating tin box. We now have around 90km of nearly fully upgraded electrified rail line. Some 40 stations of varying quality. Yet the potential of this high-capacity resource is underutilised and largely hidden from most Aucklanders. Doubling patronage to 20 million trips a year is not enough. Rail will remain a bottled-up force until it climbs to 30, 40, 50 million trips. This is the great opportunity of the CRL, and there is no other city in the world in Auckland’s position. Most would leap at the chance to get a widespread metro system just for the cost of 3.4km of tunnels and three new stations. This is the greatest deal we will see for generations. That’s how the CRL should be being marketed. Not as an inner-city project but as the means to deliver clean, efficient, reliable rapid transit – a true metro system – across most of the city. This will change our options in so many ways. Just one example: want to catch a show at Vector Arena – or any of the other big venues south of the harbour bridge, for that matter – without the hassle of trying to find or pay for a carpark? Problem solved. And although Auckland Transport isn’t communicating this well, the CRL will speed all journeys. This is especially so for those on the Western Line, because it will give those trains a direct route instead of trundling them on a roundabout journey south, with a few minutes turning around at Newmarket. This will lead to some startling time savings. 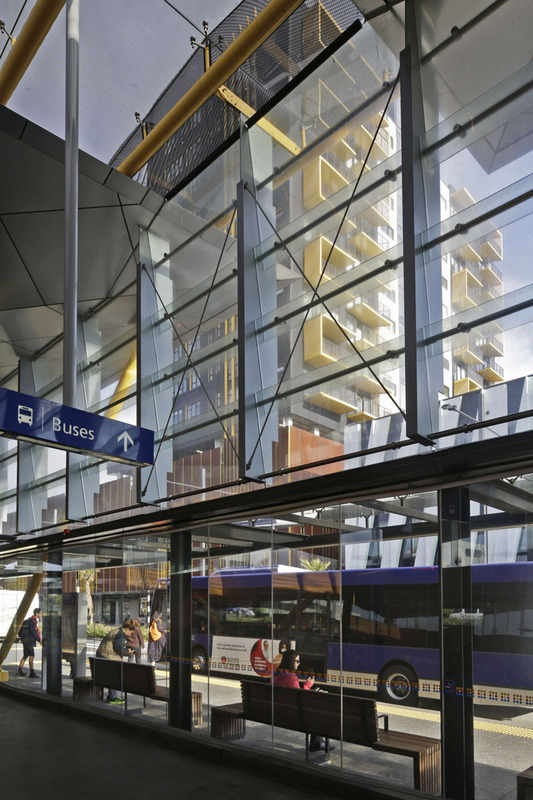 Travellers from New Lynn, for example, catching a train to town and then a bus up to the site of the new Aotea station at midtown will cut their journey from 51 minutes to 23. The CRL will in effect pick up every station on the Western Line from Mt Eden out and shift them substantially closer to the inner city. And proximity equals value. The harbour bridge itself, opened in 1959, was the last Auckland project to achieve this kind of transformation, by moving the North Shore closer to the city. The CRL will help do for the West what the bridge did for the North. West Auckland needs that. It struggles with a lack of local employment and underpowered local business opportunities. Westies will be able to commute more easily to the huge job market of the central city, and that will make Avondale, New Lynn and centres further west more attractive to live in, and therefore more attractive to do business in. Why stop there? I have an even bolder claim for Auckland, once the CRL is operating, and I’m certain I’m on the money: I believe this new layer to our world will profoundly alter Auckland’s idea about itself. The growth of a metro system out of our inefficient little commuter network will redefine the city. The beautiful harbours and extraordinary volcanic cones, and all the cultural strengths of tangata whenua and the waves of immigration that have followed – those are the things we treasure because they make us not like anywhere else. But we’ll also have a thing that’s taken for granted among nearly all really good cities. We’ll have decent rapid transit. We’ll be a metro city. The Jewel of the South Pacific. It’s right there, that possibility. Now. Thanks, four years later this is stilll a well wriitten article. The comment about variety of coffee made me think. We have various “liveability”” indexs that usually only tell us what life in a city is like for well paid execs in the cbd. We need an index for quality of life for normal people. I propose the “Latte Index”. A city’s score will be the product of its coffee quality score times the proportion of the population who are able to drink its best coffee. The Latte Index will soon separate the urban development sheep from the goats. Re selling the message: I’ve talked to a few people where the CRL or “trams” conversation comes up and they don’t seem to realise the benefits especially as they relate to outside the city centre. Perhaps short ads on old fashioned mainstream media is needed at some point to convey the message especially to older generations, suburban dwellers & those that don’t use PT ever. Patrick, I started to read your article and it is extremely well written as usual. However I came to this sentence and think that it is fundamentally wrong. “No one is suggesting that driving won’t remain the dominant means to get around Auckland” Driving has already reduced to the point where it is equivalent to other modes of getting to the city and yet it has not helped any in achieving AT’s carbon emission targets. (I believe that the Auckland Plan target for the city area is 27%). To meet our emission targets Aucklanders may need to drive significantly less and that may mean less than half of the time. What does carbon neutral by 2050 look like? Of course congestion also needs to be considered. As you argue, more resources should be diverted to building public transport options and bike and walking options. Predominantly travelling by car may not be a viable option in such a scenario as the roads simply won’t be there. Absolutely there should be a discussion about whether transport by car remains the dominant means of transport for Auckland. One European city has set a target for 20% car mode share as early as 2025. That city recognises the enormous collective benefits for the population of lessening dependence on the car. Some are certainly suggesting that driving won’t remain the dominant means to get around Auckland. I am sure that this voice will only become louder. Auckland isn’t yet the ‘adult’ city it will one day be, but maybe even in three years the discussion has shifted. Patrick did, for example, ask us what the modeshare split target should be in 10 and 30 years’ time, in his recent post on the Auckland Plan’s Missing Targets; no assumption that driving would be dominant. If driving does remain the dominant means to get around in 10 years’ time, that will be a sign of failed planning and investment. Our health, safety and environment statistics will continue to show the cost of such poor planning. The other thing I suggest we discuss differently is how people who remain driving will be “the biggest winners”. That is true only if the changes we make are small. The really radical changes necessary for health, safety and environment probably require us to leave this concept behind. What is important is that our children and the future generations are “the biggest winners”. Looking at one of the photo’s showing the eastern train passing under the bridge by the Parnell baths why haven’t AT installed a station there so those from GI and Panmure are then able to use the pools and those above the bath’s can use the trains going into the city and beyond . AT did for Parnell proper which seems to be closer than the Baths ? There is a tiny catchment in that area, and the pools would generate a few dozen trips a day. It’s a whole to of money and delay for very little use. The pool is only open half the year in any case. The buses from Glen Innes to the city (and vice versa) go straight past and stop opposite. 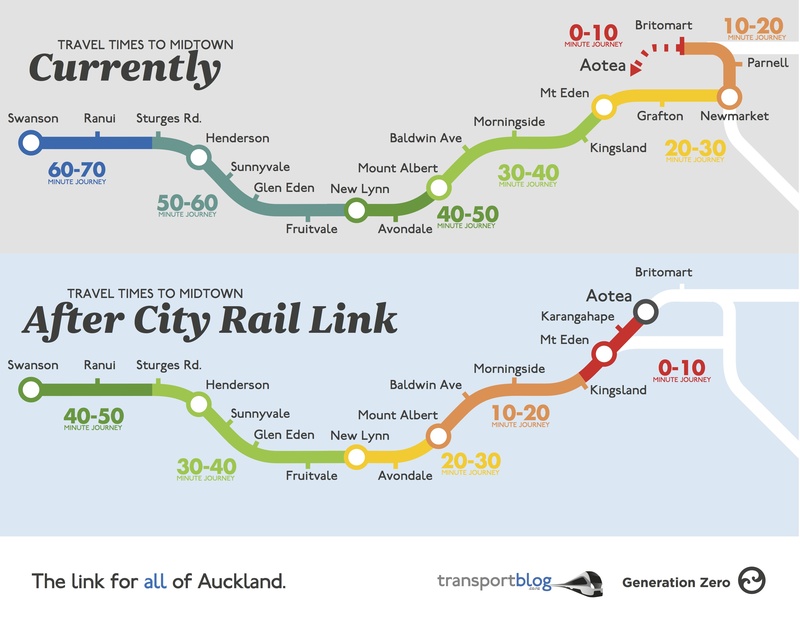 Interesting to note that travel times Swanson – Britomart will speed up to mid 2000’s times. Almost begs the question, why bother with electrification and CRL if we achieve mid 2000’s travel times? Or we could ask who stuffed this up?